All the benefits of a wallet case but far more streamlined. 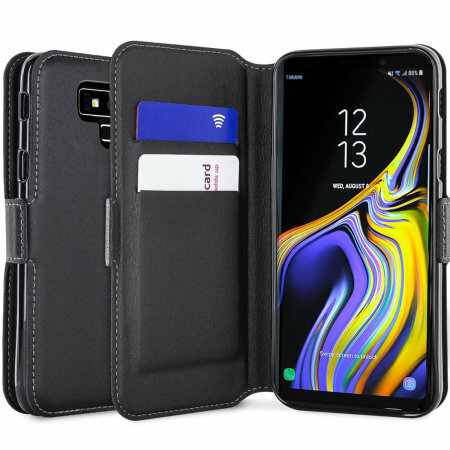 The Genuine Leather wallet in black is the perfect partner for the the Samsung Galaxy Note 9 owner on the move. What's more, this case transforms into a handy stand to view media. This is stylish practical and inexpensive unlike Samsung's own cases and particularly the screen co ers. I want the product to do what it said on the "tin" it does just that and easy to fit. All in all a satisfactory purchase. I would have wanted to know a few things about this wallet before I purchased it ,I was given a description of the wallet beforehand and I must say it's a great fit,looks great,does not look synthetic like other wallets ,its very soft and cushioned and very protective to your device also,I love it,especially compared to some of the wallets I have purchased in the past. 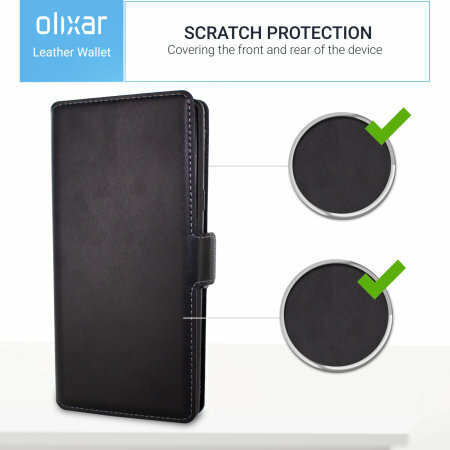 Offering excellent protection in a stylish package, the Olixar Samsung Galaxy Note 9 Wallet Case has a tough and highly durable canvas-effect outer lining and soft microfibre interior that keeps your phone looking as good as the day you bought it. It is padded to provide good protection against minor impacts, but the beauty here is that it adds very little bulk to your device - making it an ideal Samsung Galaxy Note 9 wallet case. You have a slim smartphone that is a work of art so you want to keep it as slimline as possible and this case facilitates that without compromising on protection. 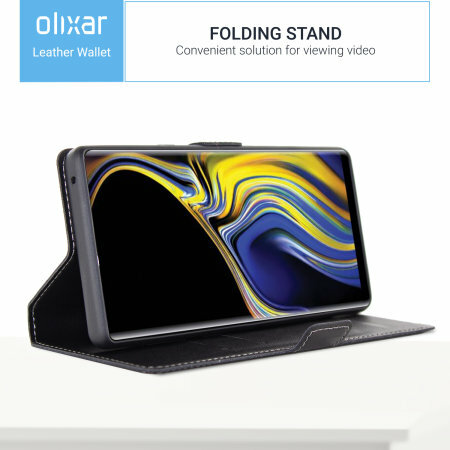 The back cover of the Olixar Wallet Case also becomes an Samsung Galaxy Note 9 desk stand by folding onto itself horizontally. This creates the perfect viewing stand for watching movies, listening to music or even web browsing. 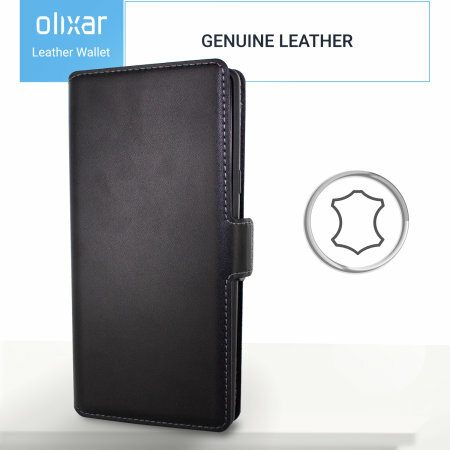 With interior credit card slots and a document pocket, the Olixar Samsung Galaxy Note 9 Low Profile Wallet case is perfect for storing anything from your passport or note paper, to train tickets and receipts. 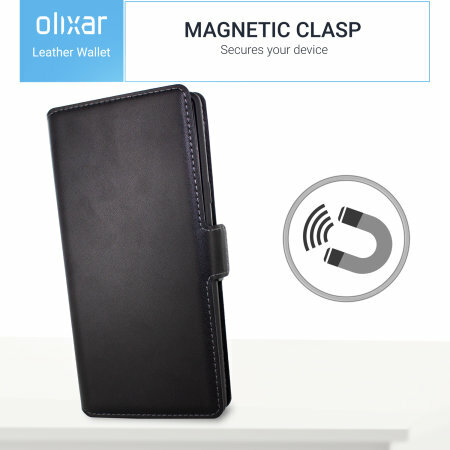 This Olixar Wallet case is made specifically for use with the Samsung Galaxy Note 9, so it offers a perfect fit and does not impede the use of any of the functions, such as the power and volume buttons, headphone and charging ports and rear camera.